Eliminating the boundaries between indoors and outdoors to enjoy the sensation of living entirely surrounded by nature, without giving up the comfort and security of a home. 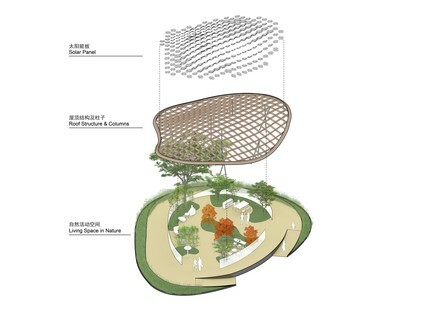 Living Garden is a project by architect Ma Yansong of MAD Architects designed to give form to his concept of the house of the future for the 2018 China House Vision Exhibition. 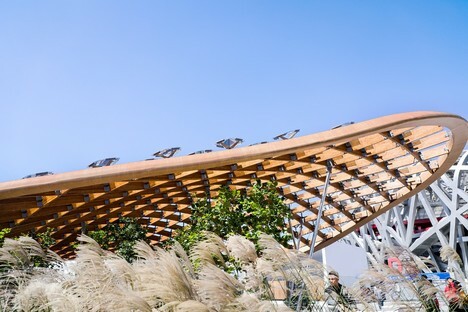 The China House Vision exhibition opened on September 21 during Beijing Design Week and continues until November 6 2018. 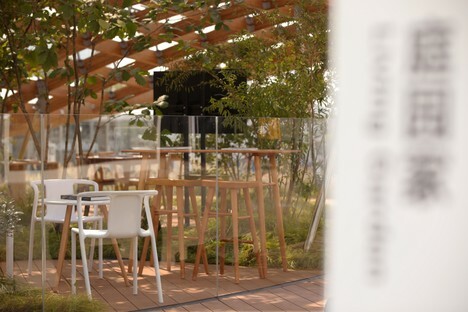 This is the third edition of House Vision, and the first exhibition organised by Japanese graphic designer and curator Kenya Har outside of Japan; the first two editions of House Vision were in fact held in Tokyo, with the participation of architects such as Sou Fujimoto, Atelier Bow-Wow, Kengo Kuma and Shigeru Ban. 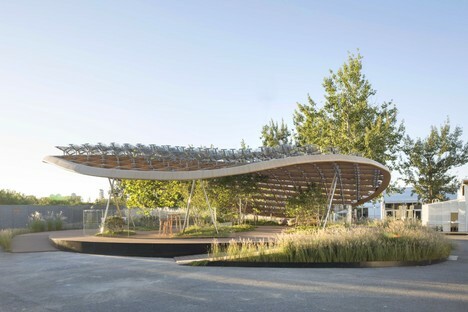 The latest edition of the exhibition sees the involvement of 10 international architectural studios and 10 innovative enterprises, invited to work in partnership to create their ideal "houses of the future". 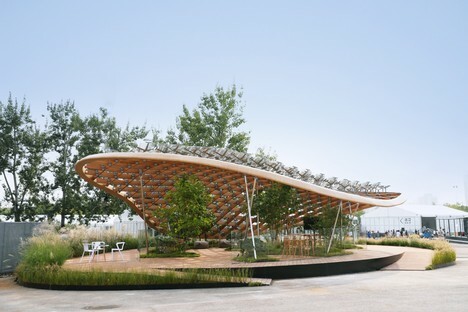 The exhibition also saw the participation of architect Ma Yansong of MAD Architects with the “Living Garden” project created in partnership with Hanergy. 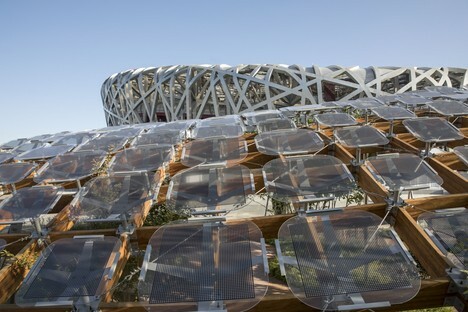 The "houses of the future" featured in China House Vision are full-scale pavilions constructed in Beijing Olympic Park, near the Bird's Nest, Beijing’s national stadium designed by architects Herzog & de Meuron with Arup, the China Architecture Design & Research Group and Chinese artist Ai Weiwei. The purpose of the China House Vision Exhibition is cultural research exploring possibilities for living in the future through the “home”. 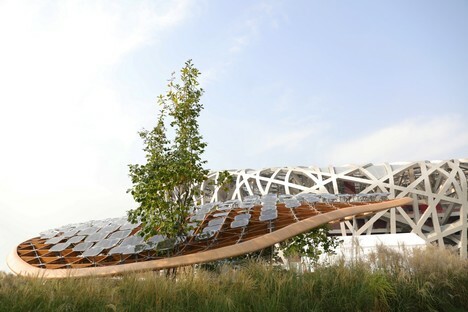 The future imagined by architect Ma Yansong and his studio MAD Architects is a home with no boundaries between inside and outside, where the inhabitants can enjoy the sensation of living entirely surrounded by nature. The architect goes beyond the conventional notion of the home, with a roof and walls creating a boundary between inside and outside, in favour of an “en plein air” environment: the house and its surroundings form a living architectural landscape and an emotional bond is established between the people living in the house and their natural surroundings. The roof is curved and slopes downwards, floating above the walls; it is made up of a structural grid covered with translucent waterproof glass elements. The slabs provide shelter from the rain and weather while letting sunlight in to light up the inside of the home. 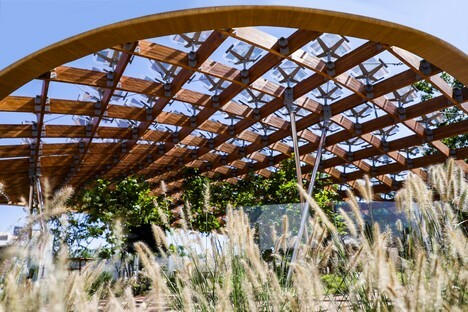 The structural grid of the roof contains photovoltaic panels, and the elements are arranged to ensure that every panel is positioned at the best angle to produce the greatest possible amount of energy. 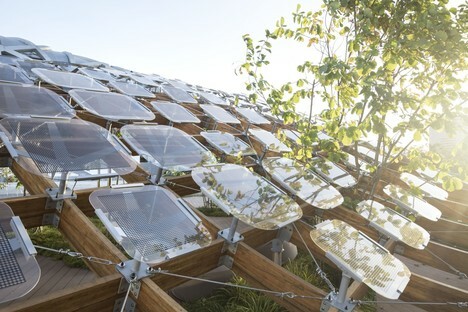 The system designed by MAD Architects produces enough electricity to fulfil the daily needs of a family of three. 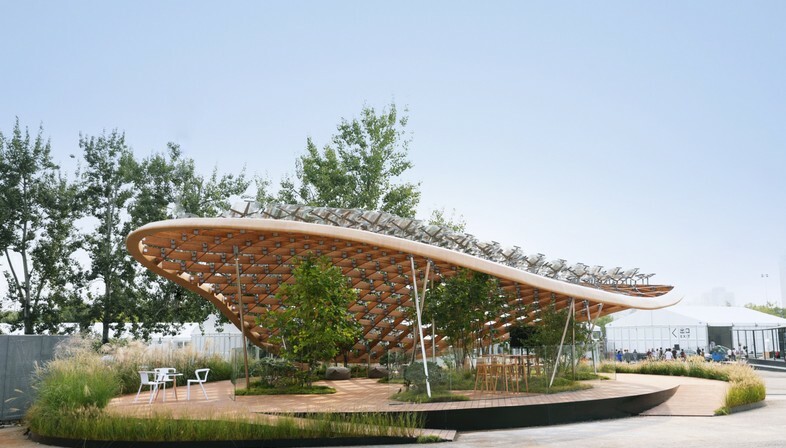 Executive Architects: CCDI (Shenzhen) Co., Ltd. 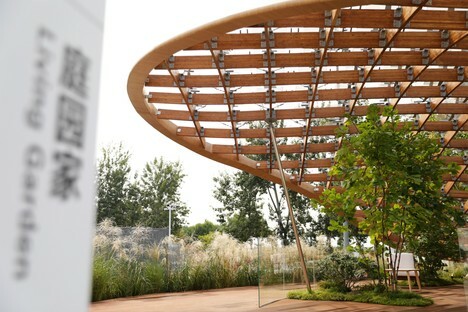 Structure: Hongya Bamboo Era Co., Ltd.
Bamboo-steel connectors and Solar Bracket: Beijing Haihuihang Decoration Engineering Co., Ltd.
Landscaping: Original Ecology Landscape Co., Ltd.